It's now officially Day 3 of our October Group Reboot! Mine didn't start quite as planned, as Babycakes has been really sick with a nasty virus, on a high fever rollercoaster. Add in a few scares with some faulty oxygen level readings, and we were on a wild goose chase all over Colorado at medical centers, children's hospital, and her pediatrician's office. Not exactly the best environment to start a Reboot and be prepping meals and juicing. But, c'est la vie (such is life), as they say. The good news is, my little munchkin is doing well, resting a lot (though not at night, lol), and fighting the virus. And I've made a couple of big soups and juices here and there. Once the acorn squash is finished roasting, you add it to the stockpot, then puree with an immersion stick blender or in an actual blender. I once had an accident in the kitchen with a hot soup in a blender (think complete explosion of hot liquid all over me and the cabinets and countertops), so I only use the stick blender for hot things! And I really really REALLY liked this soup! I will definitely be making it again. The ginger and coconut water made it feel a bit exotic. 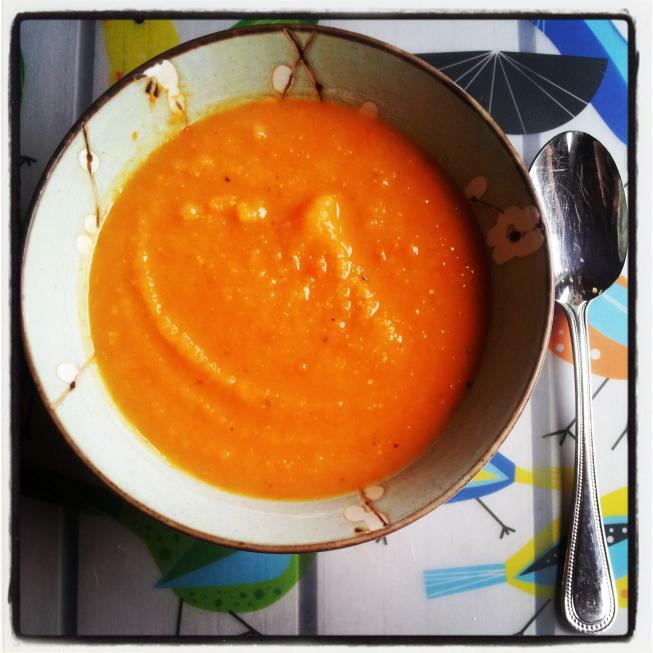 This is a perfect fall soup, reboot or not!! 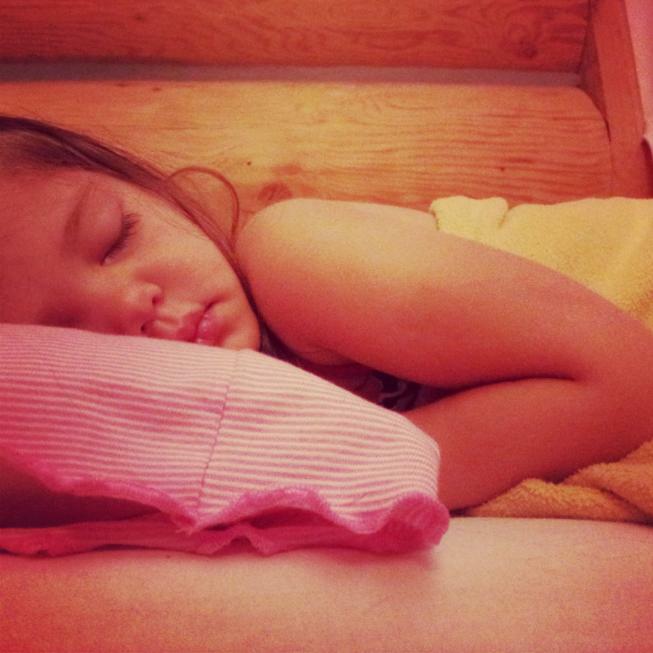 And to end this post, here is a super sweet pic of my little sick Babycakes. I've been sleeping on the floor next to her bed each night, and this is the view I woke up to a few mornings ago. Cut acorn squash in half and remove seeds. Place face down in a 13 x 9 baking dish, with 1inch of water in the dish. 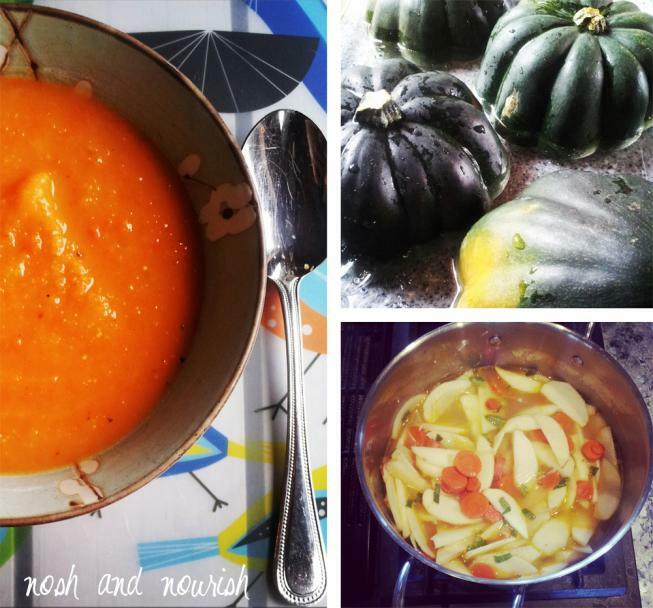 Bake for 45 minutes, until the squash is soft. 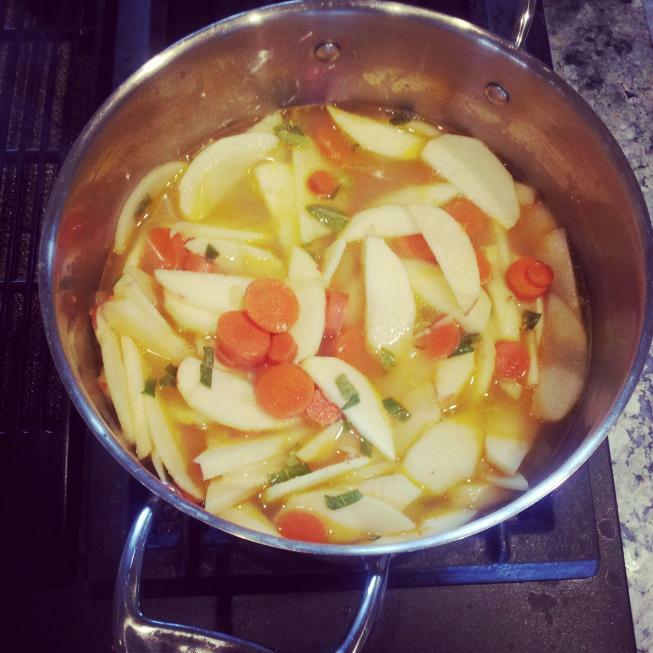 Saute the onion, garlic, and sliced carrots in the olive oil in a large stock pan for about 5 minutes. Add in sliced apples, chicken broth, and coconut water. Bring to a boil, cover, and simmer for 20 minutes. Add in squash (remove outer skin first). Puree in a blender or with an immersion stick blender. Add in diced sage, ginger, and salt and pepper.